Jerry Lee Rice (born October 13, 1962) is an American former football player. He is widely regarded as the greatest wide receiver ever and one of the greatest players in National Football League (NFL) history. The all-time leader in every major statistical category for wide receivers, Rice was selected to the Pro Bowl 13 times (1986–1996, 1998, 2002) and named All-Pro 10 times in his 20 NFL seasons. 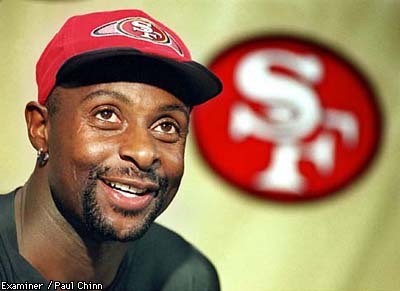 He won three Super Bowl rings playing for the San Francisco 49ers and an AFC Championship with the Oakland Raiders.